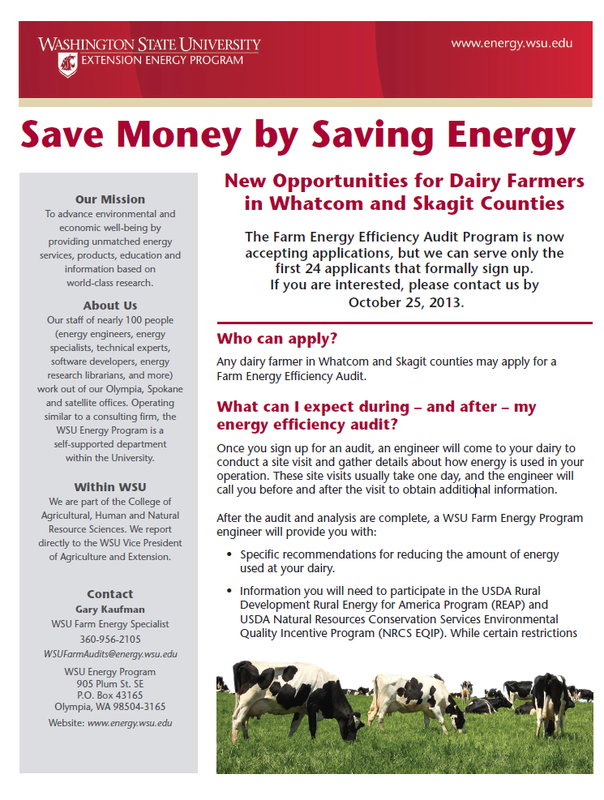 The WSU Energy Program offers information, education, and tools to help reduce energy use in the agriculture sector. Farmers and ranchers use energy directly to operate machinery or equipment, and to heat, cool, light, and ventilate buildings. They also use energy indirectly through fertilizers and other products that are integral to agricultural production and processing. This database provides links to energy information for the Northwest agricultural community and a collection of energy fact sheets. Follow this link to Agriculture Matters. This is a free monthly email newsletter that covers topics of interest to agricultural producers and service providers. View the current and archived issues or subscribe here: EnergyAg Newsbriefs. Governor Jay Inslee, in Executive Order 14-04, requested that the WSU Energy Program work with the Washington Department of Agriculture and other relevant state, federal, and private-sector partners to develop and implement an expanded energy efficiency program for the agricultural sector. To accomplish this, we built on the momentum of the statewide Farm Energy Program pilot, and worked with Washington farmers and our pilot program partners to develop a program that accelerates the assessment and funding of energy-saving options for the state’s agricultural sector. During the Washington Farm Energy Program pilot (2011 to 2013), we provided energy assessments for 31 dairy producers to help reduce their energy use, operating costs, and carbon footprint. (Learn more about the Farm Energy Program pilot.) We continue to provide assessments in targeted areas of the state. Agricultural producers and processors can enhance the efficiency of their operations by participating in our industrial trainings on motors, pumps, compressed air, steam, and refrigeration systems. Visit our training page for details and schedules. Contact us to request custom training.